Large enough to be seen by potential thieves, yet small enough to be unobtrusive! Intimidate potential shoplifters with this realistic looking simulated camera. 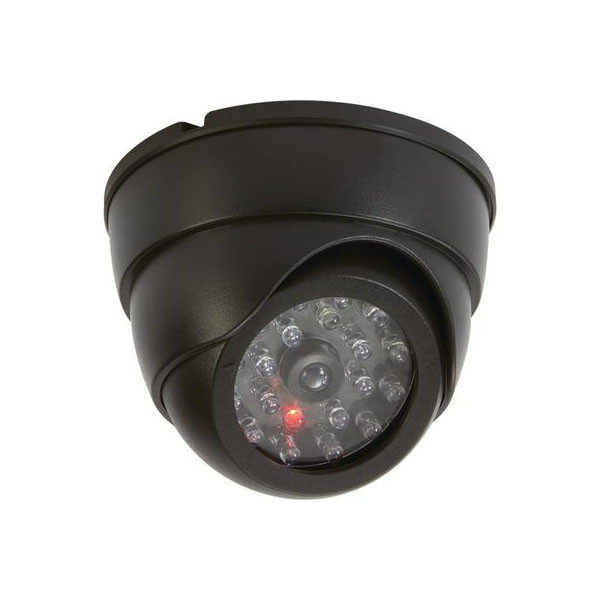 Simulated camera features a red blinking LED light, adjustable camera angle, and mounting hardware. Requires 2 AA batteries (not included).